Happy Easter everyone. 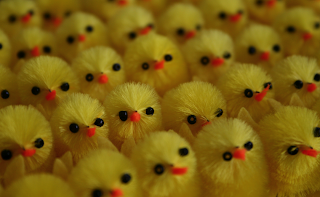 This cute tray of fluffy chicks was just one of the many wonderful treats Lauren and Derek brought us last week. If you are in San Francisco drop by the curiosity shoppe and pick up a tray. They are a riot!